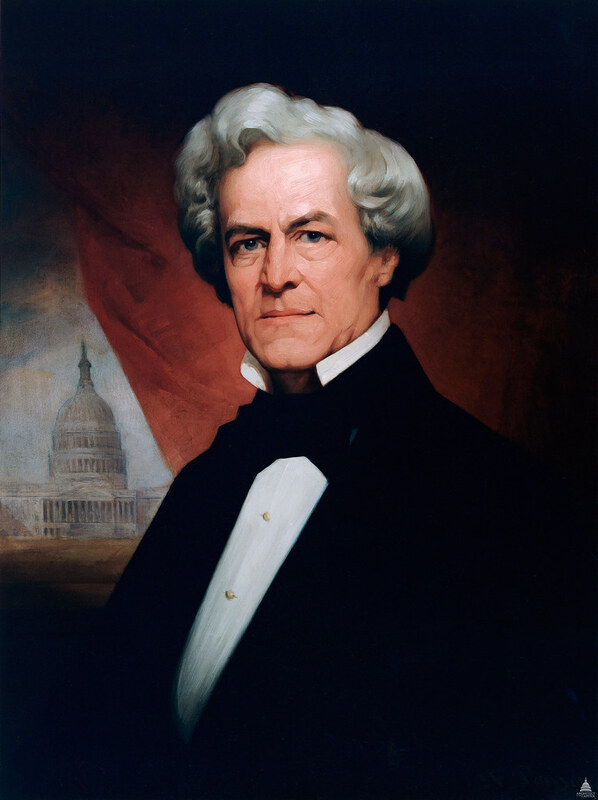 Thomas U. Walter's plans for the enlargement of the U.S. Capitol were approved by President Millard Fillmore and he was appointed Architect of the Capitol Extension in 1851. While he oversaw the construction of new marble wings, the commissioner of public buildings maintained the existing U.S. Capitol and the surrounding grounds. Walter also designed a new cast-iron dome, which was authorized in 1855. Walter's office was originally placed under the Department of the Interior. From 1853 until 1862 it was under the War Department and was overseen by two army engineers: Montgomery C. Meigs (1853–1859; 1861–1862) and William B. Franklin (1859–1861). Work was suspended for a year at the outbreak of the Civil War; when it resumed in 1862, Walter's office was again placed under the Department of the Interior. Born in Philadelphia in 1804, Walter worked for his father as a bricklayer and later studied architecture under William Strickland (a former pupil of Benjamin Henry Latrobe). His design for Girard College for Orphans (1832) was his most important early commission. He was one of the founders and second President of the American Institute of Architects. After his Washington career ended in 1865, Walter retired briefly before financial reversals forced him back to work. He was the Chief Assistant to the Architect of the Philadelphia City Hall from 1873 until his death in 1887.